Classical music: Maestro John DeMain of the Madison Symphony Orchestra and the Madison Opera is The Ear’s “Musician of the Year” for 2013. Plus, “New Year’s Day From Vienna” will be broadcast Wednesday once on Wisconsin Public Radio and twice on Wisconsin Public Television. 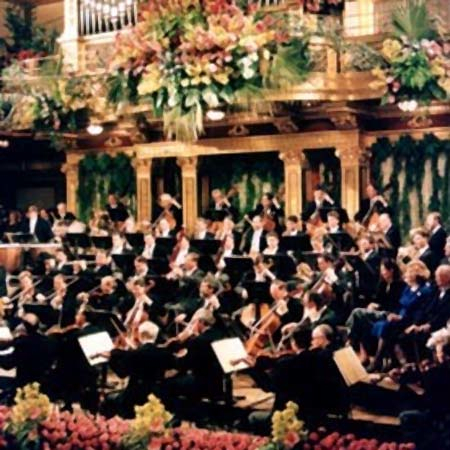 REMINDER: “New Year’s Day From Vienna,” with the Vienna Philharmonic Orchestra performing waltzes, polkas and marches under Daniel Barenboim, will be broadcast live on Wednesday morning at 10 a.m. on Wisconsin Public Radio, and then air at 1:30-3 p.m. and again at 7-8:30 p.m. on Wisconsin Public Television. That is never an easy decision, especially in a city with as much fine classical music and as many fine classical musicians as Madison has. There are so many talented individuals and so many outstanding groups or ensembles in the area that any number of them could qualify for the honor. It was particularly difficult this year because, due to personal circumstances, The Ear didn’t get to attend a lot of live events he wanted to. Even so, this year the choice seemed somewhat obvious. 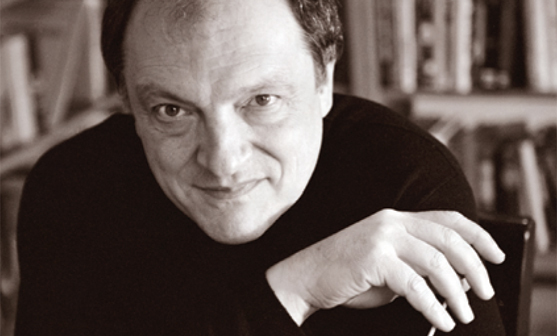 So on to the man who happens to be the most common denominator among Barker’s Best Picks: John DeMain (below, in a photo by Prasad) is the Musician of the Year for 2013. But coming to Madison, DeMain had a chance to show his strength as an organizational builder and planner -– with results that the Madison public could easily see, hear and be impressed by. John DeMain inherited a fine organization for an amateur or semi-professional orchestra, one that had been built up especially by Roland Johnson during his long tenure. But once he took over, DeMain vastly improved the playing and then programmed more ambitious pieces for the players, and developed his approach to them. His Brahms now is tighter and leaner and more exciting than when he arrived. 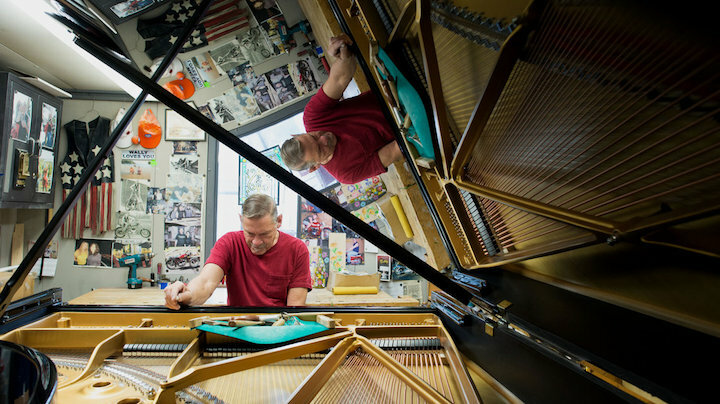 John DeMain (below in a photo by Greg Anderson) is devoted to lifelong learning and improvement, and doesn’t take even the music he already knows and performs for granted. Over his tenure, DeMain has discovered and booked exciting and affordable young guest soloists – pianist Philippe Bianconi, violinists Augustin Hadelich and Henning Kraggerud, cellist Alisa Weilerstein tenor Stephen Costello — although The Ear would also like to see some big and more expensive figures brought to town to allow us to hear these artists live. 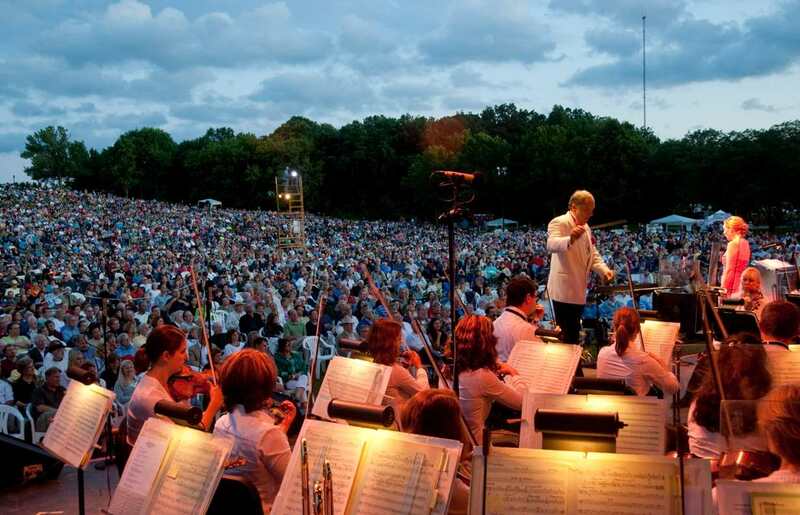 Plus, DeMain listens to dozens of auditions each year and unerringly picks great young up-and-coming singers for the Madison Opera’s season including the popular Opera in the Park each summer. I also find it noteworthy and important. 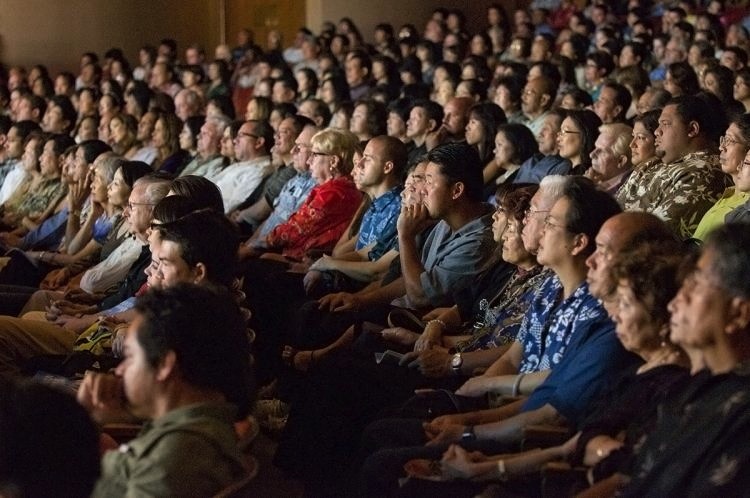 DeMain is in demand elsewhere and every season has many opportunities to guest conduct out of town — for the now defunct New York City Opera, the San Francisco Opera, the Glimmerglass Opera in upstate New York and many others. No less important is his willing to expand out into the local scene. In addition to the opera, he has conducted the chamber groups Con Vivo the Bach Dancing and Dynamite Society. He continues to play the piano — he was trained as a pianist before turning to conducting. As an administrator and organizer, he has demonstrated great skills at putting together a team. 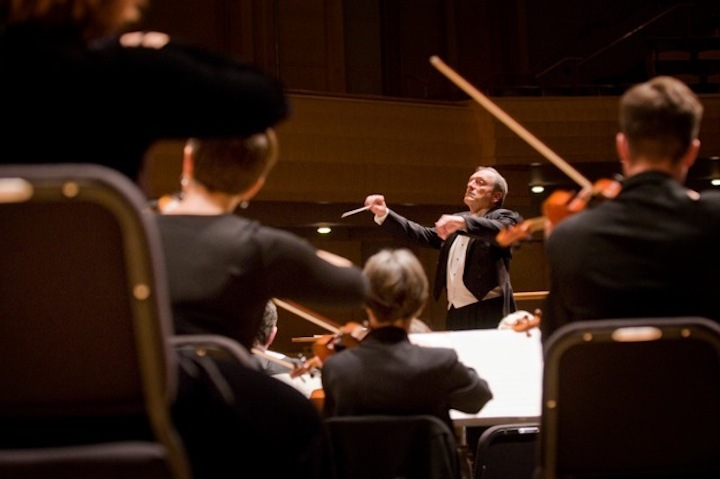 True, the orchestra has suffered somewhat during the Great Recession and its aftermath – as did all artistic groups. It had to cut back its season by one concert, which DeMain says he hopes to restore to the subscription season. But the same labor strife that has led to great damage to the Minnesota Orchestra, the Philadelphia Orchestra, the San Francisco Symphony Orchestra and so many others has not touched the MSO. DeMain’s contained the damage. Having inherited double performances, DeMain took the MSO to three performances of each concert, reaching about 5,000 people or so with each “triple” performance. 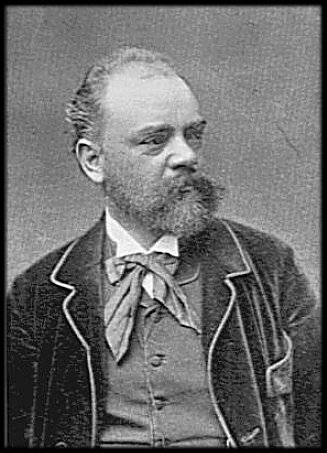 He continues to experiment with programming, and in late January will try out the “Behind the Score” series of the Chicago Symphony Orchestra with the “New World” Symphony by Antonin Dvorak (below). 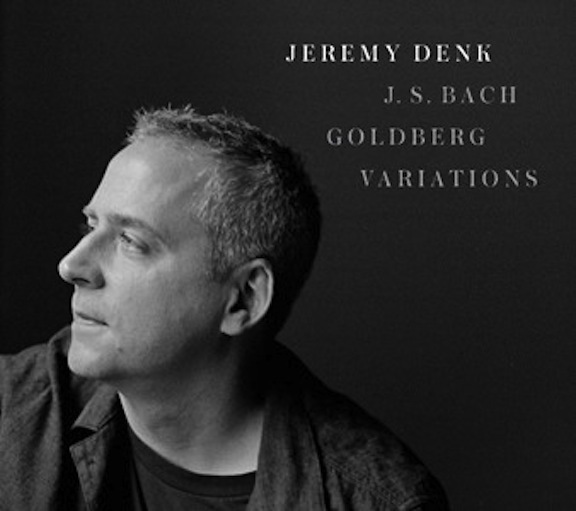 And while some listeners might complain about the lack of more adventurous contemporary music, DeMain has seats to fill and still manages to program contemporary works every season, even with many experimental offerings nearby at the University of Wisconsin School of Music. 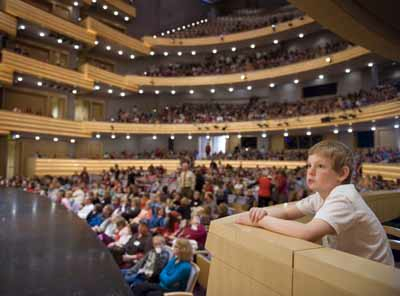 DeMain attends concerts at the University of Wisconsin School of Music, and is a tireless promoter of music education from the televised “Final Forte” Bolz concerto competition to the matinée Young People’s concerts (below, in a photo by Greg Anderson). 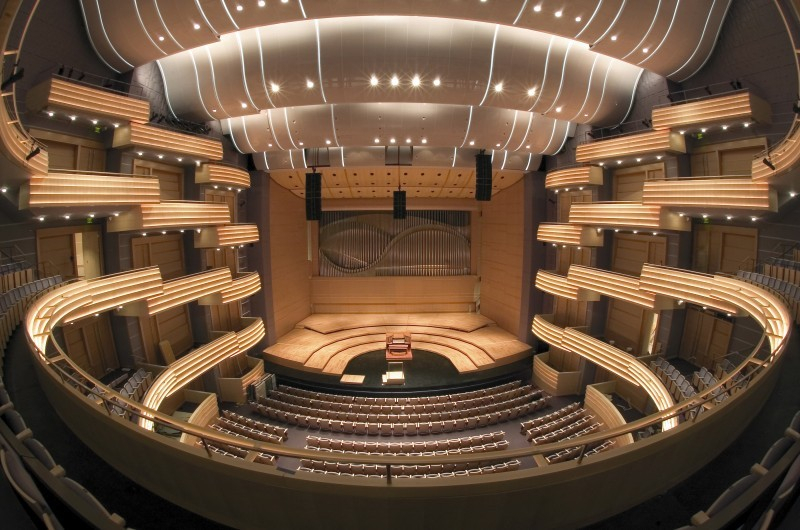 And let’s not forget that DeMain was instrumental in getting the impressive Overture Center built and then programming concerts for the orchestra’s and opera’s home in Overture Hall (below). I am sure there is more I am overlooking. Do I have some disappointments? Sure. I thought his 20th anniversary season would be a bit more ambitious and adventurous, and feature some big works by Gustav Mahler and Anton Bruckner. I would like to see few more big-name and hot young soloists, including pianists Joyce Yang, Daniil Trifonov and Jeremy Denk (below), who has done two recitals at the Wisconsin Union Theater but has yet to perform a concerto. And there are so many young talented soloists out there today, we should be hearing more of them live and while they are still affordable in our market. 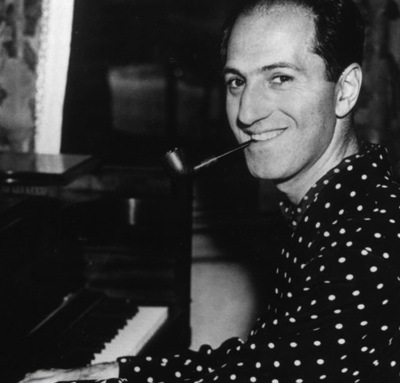 I also get impatient with what I call “playing the Gershwin card” too often -– including again for this year’s season finale -– because the important and identifiable George Gershwin (bel0w) had such an easy-listening and crossover pop-like musical style that it unfailingly draws so many listeners. I loved DeMain’s last concert version of “Porgy and Bess,” but there must be other solutions. But in the end I have to defer to his judgment. 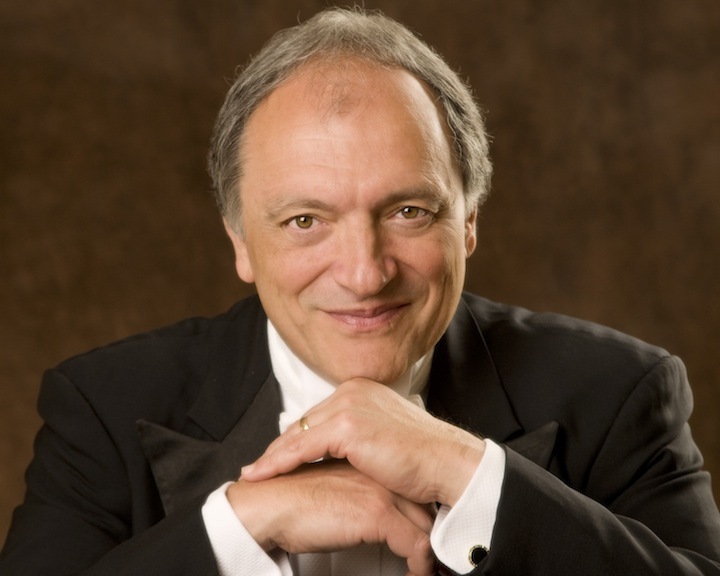 The excellence that John DeMain has brought to the Madison Symphony Orchestra and the Madison Opera has extended to the entire city and to other groups. The rising tide he brought has lifted all boats. If any one individual can take credit for the ever-increasing quality of the classical music that wehear in Madison, that person is John DeMain (below in a photo by Katrin Talbot). Little wonder, then, that on this 20th anniversary of his arrival in Madison, maestro John DeMain is the Musician of the Year for 2013. Thank you, John DeMain. We all – listeners and performers alike — are in your debt. Cheers and good luck in the coming years! 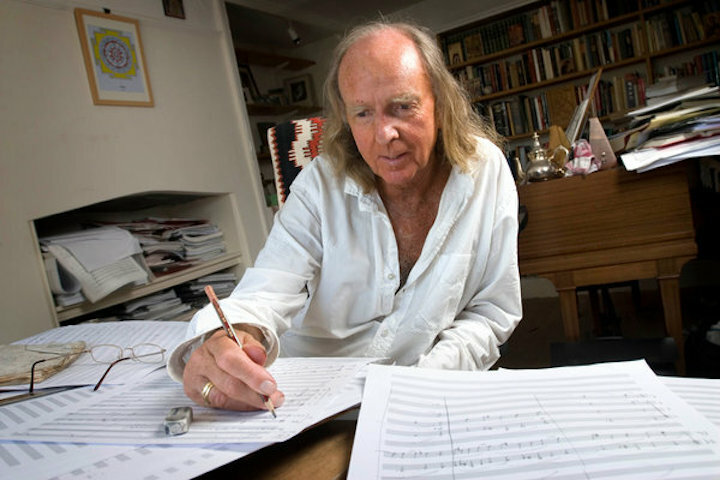 Classical music: Here is a year-end look back at the classical music performers and composers we lost in 2013, including pianist Van Cliburn and British composer John Tavener. 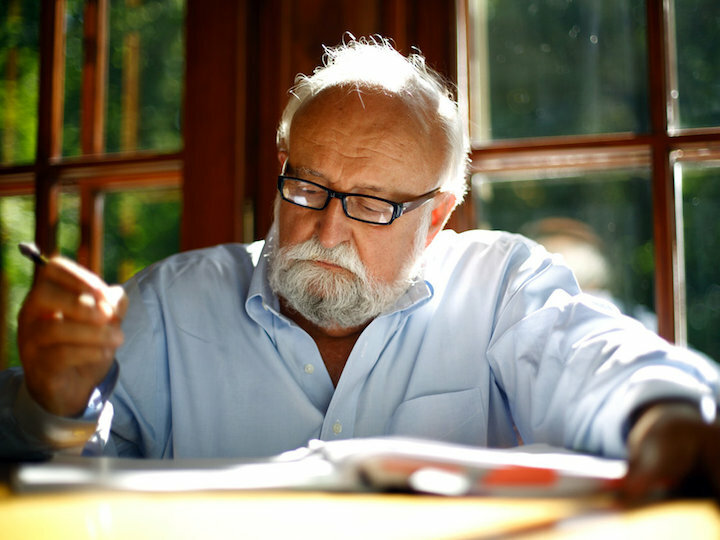 Even as we look forward to a New Year, it is a traditional to look back at the various classical musicians -– performers and composers and even some prominent scholars or musicologists -– that we lost during 2013. At the top of everyone’s list is probably the acclaimed but enigmatic American pianist Van Cliburn (below top) and the British composer John Tavener (below bottom, in a photo by Steve Forrest). Are there other “departures” — or deaths or passings or losses — pick your term — you know of? Do you care to leave an appreciation or comment? 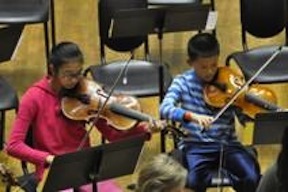 Classical music education: What makes for a great and productive student-teacher relationship in music? Pianists Lang Lang and Gray Graffman answer that question for NPR. 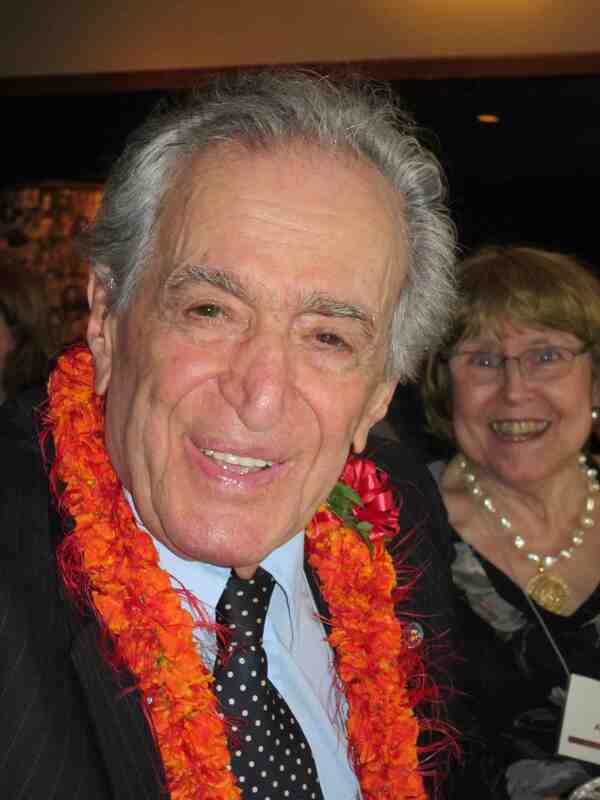 Plus, the memorial service for WYSO founder Marvin Rabin is today at 3. It seems only fitting that today is a day to talk about music education. After all, the memorial service for Marvin Rabin (below top), the founder and longtime music director and conductor of the Wisconsin Youth Symphony Orchestras (WYSO) will be held today at 3 p.m. in the new Atrium auditorium (below bottom, in a photo by Zane Williams) of the landmark First Unitarian Society, designed by Frank Lloyd Wright, at 900 University Bay Drive, near UW Hospital and Clinics. Many young WYSO players will perform at the service and here is a link to a previous story with more about the memorial service, about WYSO and about Marvin Rabin. So the question that lingers in the air is: What makes for a great teacher-student relationship between musicians? Recently, NPR’s great lcassical music blog Deceptive Cadence got the young Chinese superstar pianist Lang Lang (below top) and his much older former teacher Gary Graffman (below bottom, in a photo by Carol Rosegg) at the Curtis institute of Music, to talk about what makes for a great teacher-student relationship. The dialogue interview meanders a bit, but it quite informative and even inspirational. It is particularly interesting for two reasons. 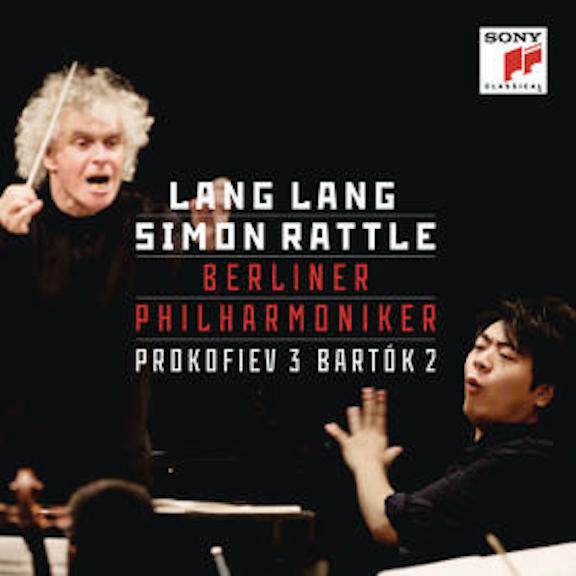 One is that Lang Lang seems to be simmering down in his annoying flamboyance and especially in his new release of piano concertos by Sergei Prokofiev and Bela Bartok with Sir Simon Rattle conducting the Berlin Philharmonic (see the YouTube video at the bottom), is focusing more on the music. For his part the 85-year-old Graffman, who, like Leon Fleisher, saw his big concert career undone by a major injury, is undergoing a rediscovery though the release of a box set of re-mastered recordings from decades ago. 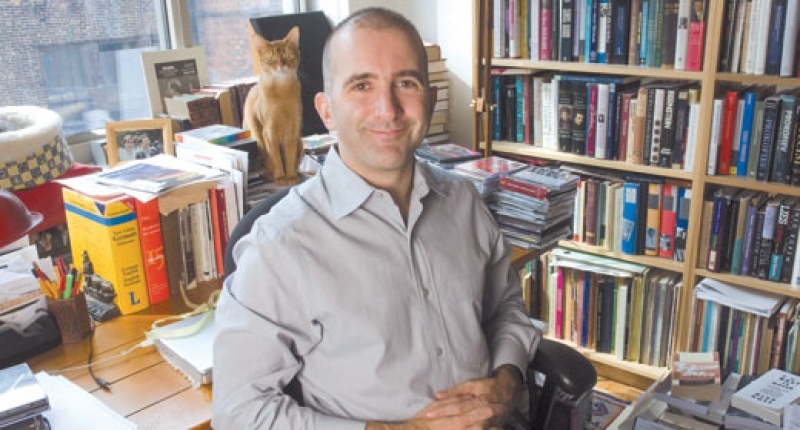 Second, The Ear believes that Marvin Rabin had the same gift of being an inspiring teacher and seemed to share the right temperament and similar ideas with Gary Graffman. 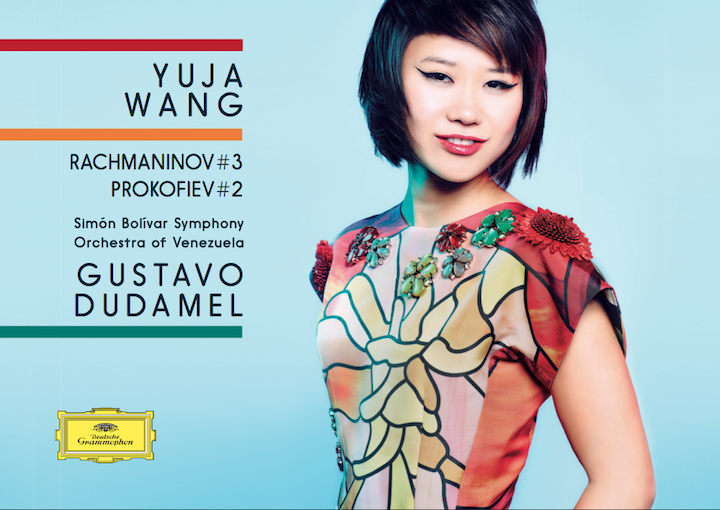 Classical music: Superstar fashionista pianist Yuja Wang is in the news again with her new recording of Rachmaninoff and Prokofiev concertos. In an interview she talks about everything including her piano playing, her small hands and her controversial concert clothes. There are a lot of talented young pianists on the scene today including Daniil Trifonov, Lang Lang, Jan Lisiecki, Kirill Gerstein, Yundi Lee, Benjamin Grosvenor, Jonathan Biss, Igor Levit and Inon Barnaton, to name just a few. 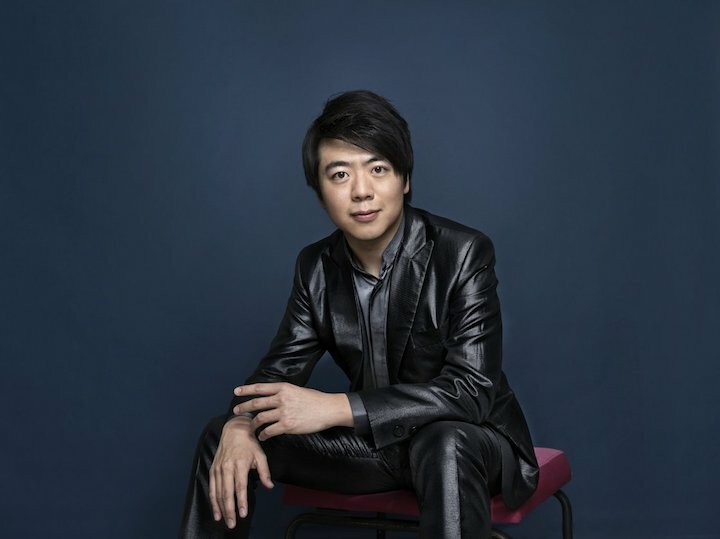 Yang’s latest venture is an exciting recording for Deutsche Grammophon (below) of Sergei Rachmaninoff’s gargantuan Piano Concerto No. 3 in D Minor and Sergei Prokofiev’s fiendishly difficult Piano Concerto No. 2 in G Minor. 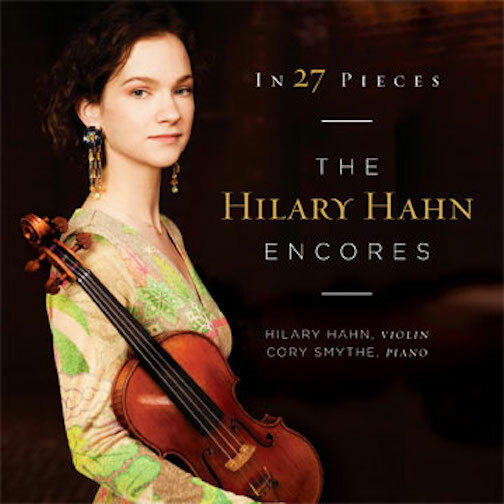 I have listened to the recording, and these are high-octane performances that remind one, for better and worse, of Vladimir Horowitz and Martha Argerich — not bad artists to be compared to. In a surprisingly candid and matter-of-fact manner, she covered a lot of topics. They included he background, her training, her taste in non-classical music, her piano playing and acclaimed technique, even her controversial concert attire such as the scarlet micro-skirt (below top) she wore at the Hollywood Bowl and the thigh-high slit black gown and stiletto heels she wore for her Carnegie Hall debut (below bottom). Classical music: Steinway will remain Steinway, says John Paulson, the new billionaire hedge fund owner of the famed piano company. 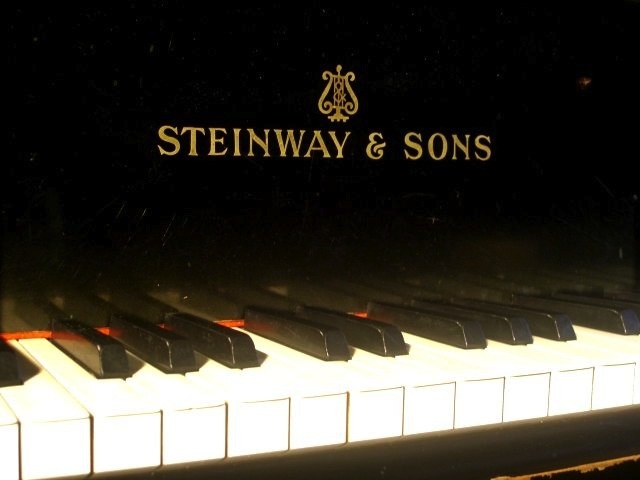 Is there any piano with more prestige than Steinway, whether it is the New York branch of the family or the Hamburg branch? 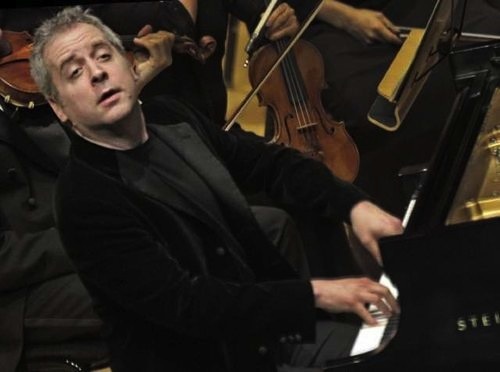 What aspiring serous pianist doesn’t dream of being a “Steinway’ artist” like Arthur Rubinstein, Vladimir Horowitz, Rudolf Serkin, Van Cliburn, Emanuel Ax and so many others. But maybe you remember that in the 1970s, CBS took over the company and used such “new and improved” things as Teflon couplings that led to many problems. 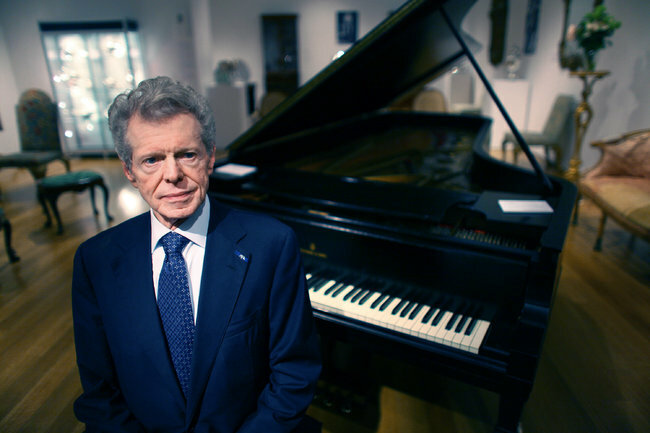 So people are rightly guarded about the new Steinway owner, a billionaire manager of a hedge fund manager who would seem more concerned about making money than preserving the nitpicky artistic quality, which you can get an idea of from the YouTube video tour at the bottom that is narrated by a member of the Steinway family. But preserving artistic quality of the handmade and painstakingly assembled Steinway piano (below top) is exactly what John Paulson (below bottom), the new owner of Steinway, vows to share, and adds that such first-rate quality is exactly why he wanted to buy the company. That kind of vow is the ultimate Christmas gift to pianists around the world. 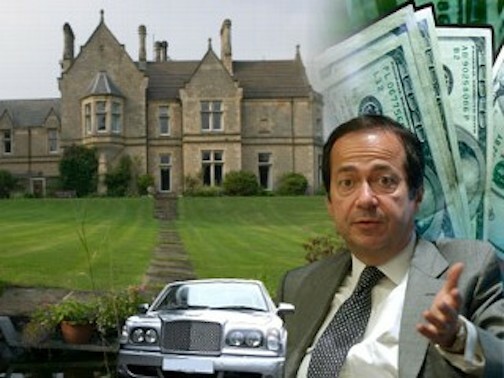 Makes you wonder: Does John Paulson play the pain? How well? Is he a pianophile? 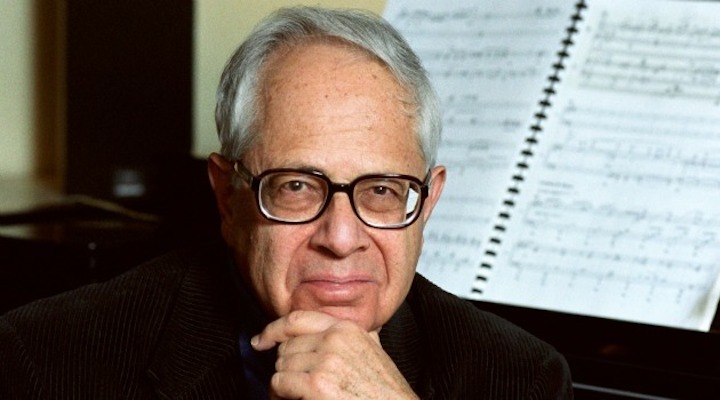 Classical music: The memorial service for internationally acclaimed music educator and WYSO founder Marvin Rabin is this Sunday, Dec. 29, at 3 p.m. at the First Unitarian Society in Madison. 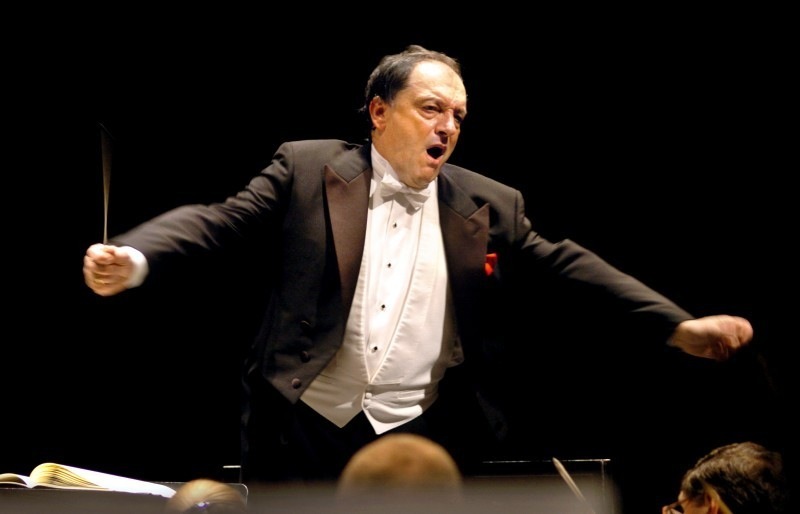 In case you hadn’t already heard, the memorial service for Marvin Rabin (below) – the founder and longtime music director and conductor of the Wisconsin Youth Symphony Orchestras – is set for this coming Sunday at 3 p.m. in the historic landmark First Unitarian Society that was designed by architect Frank Lloyd Wright. WYSO will be well represented at Rabin’s memorial service. There will be a WYSO String Orchestra performing Samuel Barber’s moving “Adagio for Strings” as well as a WYSO Chamber Ensemble and a WYSO Alumni Chamber Ensemble. 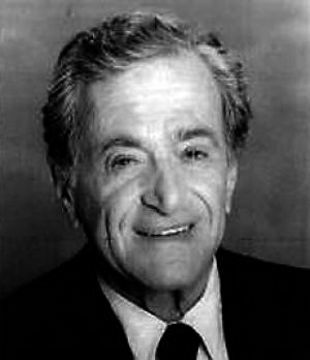 MADISON – Music educator, Marvin Rabin, age 97, died at University of Wisconsin Hospitals on Dec. 5, 2013. 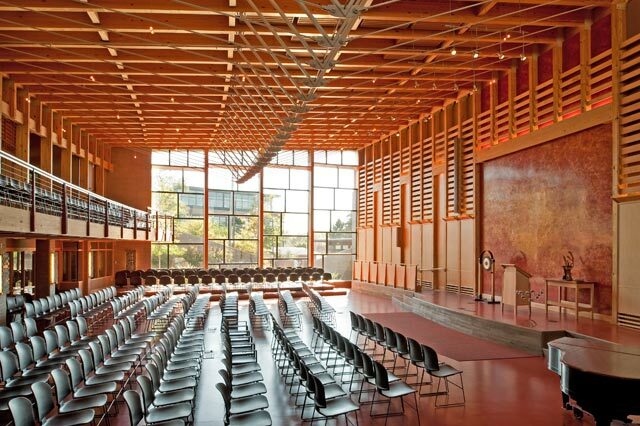 A celebration of Marvin’s life is planned for 3 p.m. on Sunday, Dec. 29, 2013, at the UNITARIAN MEETING HOUSE’S new ATRIUM auditorium (below, in a photo by Zane Williams), 900 University Bay Drive, Madison. Classical music: Merry Christmas from The Ear! Here is a rescued compilation of Baroque holiday music to remind us how technology brings us the gift of the past as well as the future. READER SURVEY: What piece of classical music do you most look forward to hearing — or most dread hearing — when Christmas arrives each year? Leave a comment. The Ear wants to hear. A lot of people, both young and old, will be opening hi-tech gifts like smart phones, desk-top and laptop computers, and tablet computers and iPads, to say nothing of digital cameras, video recorders and games. But even though we think of technology as pointing us toward the future, it is also good to realize that it can return us to the past. After all, CDs, which are relatively cheap to make, have brought back many performers and composers whose work had disappeared off the radar screen and fallen into neglect. It is an old and acclaimed apparently out-of-print compilation album of Baroque Christmas music that was originally a vinyl LP. 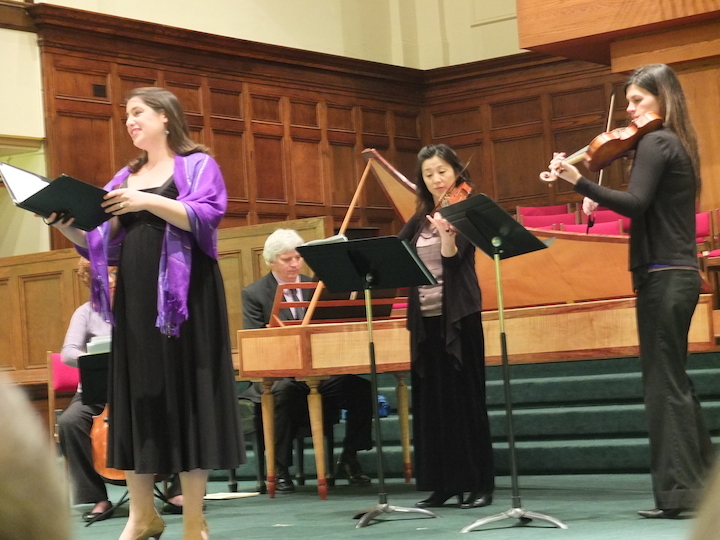 And hearing the unfamiliar can be fun and informative, as I recently learned again at the third annual Holiday Baroque Concert (below) given by Trevor Stephenson and the Madison Bach Musicians. Anyway, someone has posted this old recording of a Baroque Christmas music album on YouTube, and the comments show that readers appreciate it. You could stream it or run it through the computer as background music for gift-giving, or do even more focused listening. And thank you for your gift to me of your readership of The Well-Tempered Ear. Classical music: Can religious music make you a believer? If so, one example would surely would be the moving Festival of Nine Lessons and Carols that airs on Wisconsin Public Radio today at 9 a.m. CST and on Christmas Day at noon. I suppose you can argue that it is not really classical music. But no one can say that it isn’t classic music. 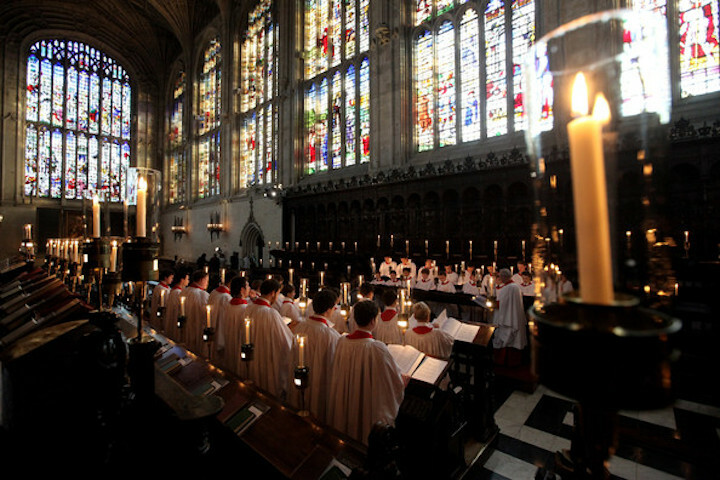 I am talking about the yearly broadcast of The Festival of Nine Lessons and Carols from King’s College in the United Kingdom. Music is so central to the service. And there are old standards as well as new commissions. The Ear finds the whole production so moving that it would give make non-believers the desire to believe. After all, what is evoked and summoned are the ideals of compassion and redemption. And who can’t benefit from those values? But in case you miss it or can’t listen to it, here in a YouTube video is the always inspirational opening hymn — “Once in Royal David’s City” that features a solo boy d soprano singing out to the entire world — and procession from another year’s production, from 2010. The opening is just so poignant, so beautifully developed and expanded, and the service continue to live up to the high standards that have been established over many decades of the ceremony. So for 2013, from The Ear to you, Merry Christmas Eve and Merry Christmas! 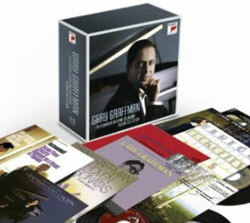 Classical music: Here are some more lists of the Best of 2013 Classical Recordings. They include NPR, Alex Ross and The New Yorker magazine, the San Jose Mercury News and the Star-Ledger of New Jersey. 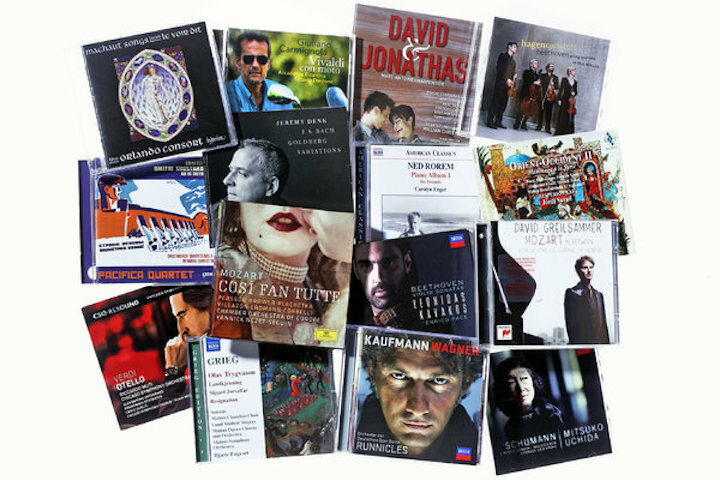 Just like the list of the past year’s best classical recordings (below) from The New York Times, which I posted yesterday and which has a link below, other media outlets are checking in with their lists. And once again, The Ear has to ask: Why so late? There isn’t much time let to go shopping in local traditional brick-and-mortar stores or even on-line in time for Christmas. Could it be that the late Thanksgiving threw everyone off? Are maybe such lists just receiving a lower priority than they used to? Were reviewers more interested in other things, like the expensive box sets that companies are pushing and they got review copies of? Or have staff cuts at various newspapers added to the work load and made it more difficult to cover live events and also get out this seasonal features? The Ear wonders and is waiting to hear some answers from others in the media or from his readers. In the meantime, here are even some other lists and suggestions from various less well-known sources. And here is one from the Star-Ledger in New Jersey. You will notice some crossovers and agreements with NPR. The San Jose Mercury News and The New York Times. That bodes well, it seems to me, and makes the choosing that much easier. But, as I have said often before, add immensely to the holiday gift by including some tickets to live local concerts – don’t forget that the Madison Symphony Orchestra is offering cut-rate tickets for the rest of the season through midnight of Christmas Eve — and the promise of your companionship and help or assistance. Music, like other forms of art, is a pleasure to be shared and is social in its origins. 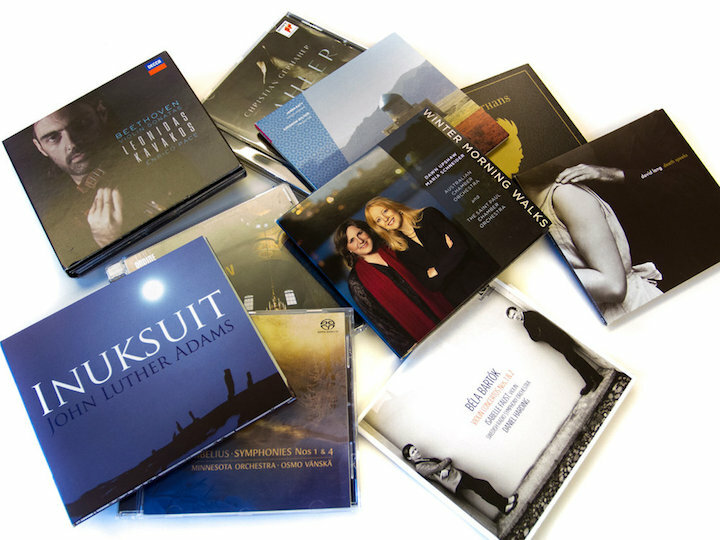 Classical music: The top classical recordings of 2013 are finally named by the critics for The New York Times. Does the list come too late to serve as a holiday gift-giving guide? Well, The Ear thinks it was a little late in coming –- especially since there are few local traditional brick-and-mortar record stories still in business and since buying on-line requires time for delivery. 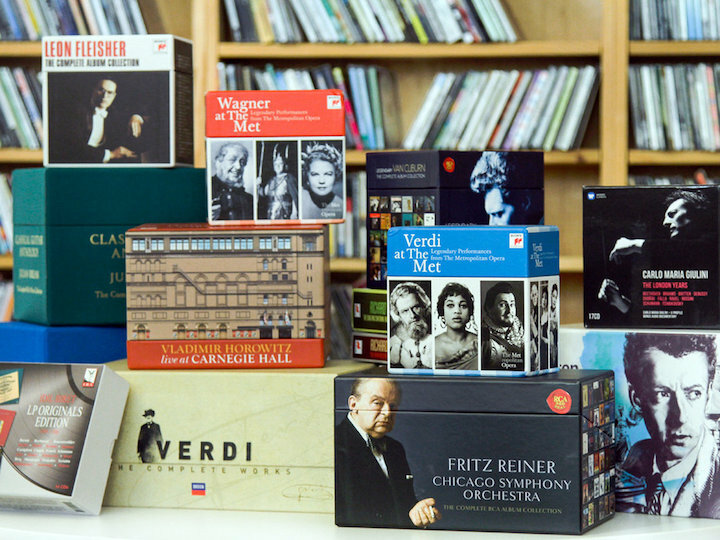 Now, a cynic might think that an earlier publication about bigger and more expensive box sets (below), with dozens of CDs, came first because those sets are quite expensive and were probably provided free of cost or at a steep discount to reviewers. So perhaps the reviewers felt a duty to get that story into print over the pick of cheaper single and maybe double CDs -– kind of like the way legislators respond to lobbyists. But maybe not. Maybe it is all just coincidence. And one can be disappointed a bit that there isn’t more in the way of suggestions about DVDs and books that related to classical music. But be all that as it may, the list has been at last been published. And I find that agree whole-heartedly with many of the choices. And if it proves to late to be a good guide for giving, perhaps it is a good guide for how to spend those gifts cards you might get as gifts.